The guarana based coffee alternative. Full bodied with roasted grains and Brazilian guarana. A unique hot drink made with roasted whole grains for body, chicory for bitterness, malt and figs for a smooth nutty aroma, and extract of guarana for sustained uplifting effect. Barley (36%), Malted barley (26%), Chicory, rye (10%), Figs, Guarana (4%) Suitable for Vegetarians and Vegans. The Whole Earth Wake Up 125g product ethics are indicated below. To learn more about these product ethics and to see related products, follow the links below. I drink this to cut down on caffeine, it does the trick! Great alternative to coffee. Lovely smooth taste. 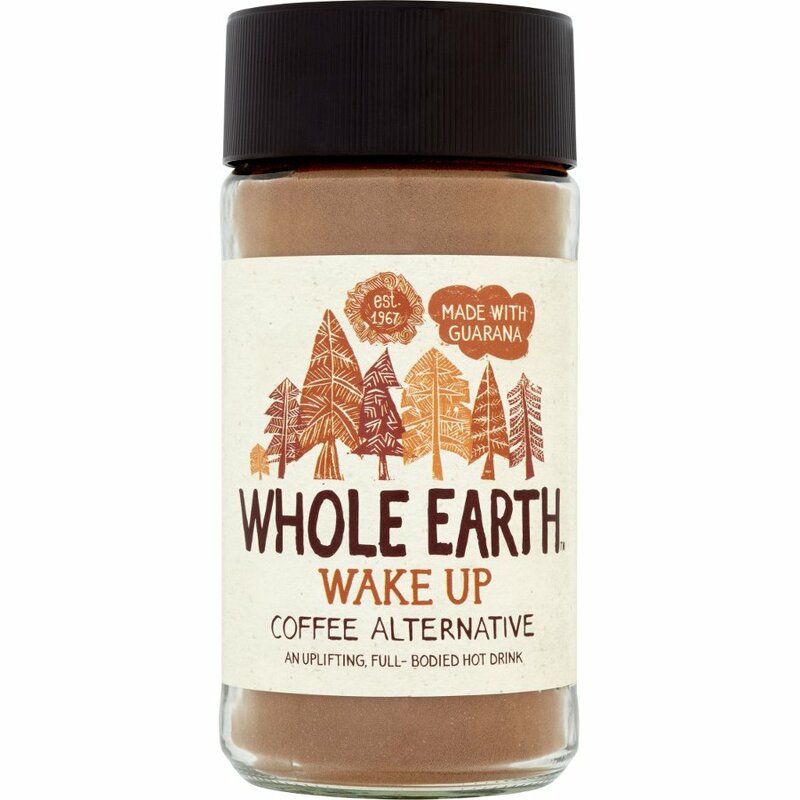 There are currently no questions to display about Whole Earth Wake Up 125g.